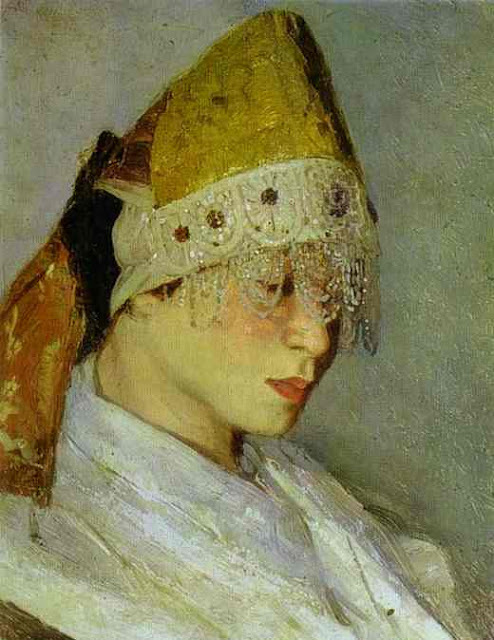 A Girl with Kokoshnik. Portrait of Marya Nesterova by Mikhail Nesterov.1885. Oil on panel. Private collection.